The side stuff with Ribrianne and the Namekians both felt unnecessary. I enjoy seeing other characters, but these two scenes werent integrated into the episode cohesively. Instead they felt forced, clearly intended to set up future plot points without doing much to serve the current story. With Goku weakened and forced to flee, Hit steps up this week to try and take on Jiren. It made for an excellent fight, showcasing a radically different form of combat than what we saw last week. Episode 111 also did well in establishing the beginnings of new story beats, as new combatants were introduced and old debts were repaid. Frieza opened the episode, and it was quite the interesting story development. The debt Frieza speaks of is clearly a reference to Goku and Friezas battle on Namek, where Goku offered his own energy so Frieza could still function. Its great to see that after all this time, Super still acknowledges the past, but its what this gift means for the future that has me interested. Its been clear since the moment Frieza was recruited that he planned to take down the gods, so how does helping Goku fit into that plan? 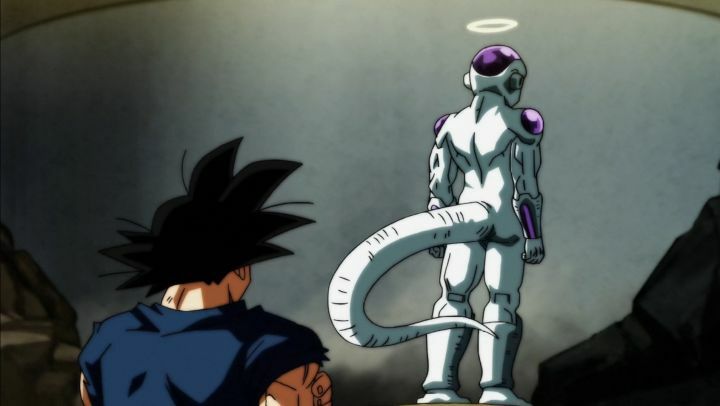 There are so many possible outcomes that Frieza could chase after, and Super has done an excellent job of this dark, personal arc of Friezas both fun to watch and exciting for speculation. There are few characters in Dragon Ball Super that are as consistently interesting as Hit. Again thats proven as he willingly steps up to try and take Jiren down after Goku nearly died trying. The shift in tone made for an exciting fight, as Hit relies on strategy rather than brute force methods like Goku. The onlookers were used well also, helping to sell what was happening. Their own confusion over Hits unusual tactics made the fight more intriguing, as it left people guessing the entire time as to how he planned to win a clearly unwinnable fight. Dragon Ball Super Episode 111: The Surreal Supreme Battle! Hit vs Jiren!! The end of the battle reveals a new side of Hit, and its great that even in combat, Super is finding a way to show character growth. Putting himself in a vulnerable position, Hit compels his allies to go and win the Tournament of Power while he focuses entirely on locking Jiren in a space-time prison. Although brief, it was meaningful and helped showcase Hits change from an otherwise reclusive character.As powerful as that scene was, it was muddied a bit by the heavy-handed exposition. For all the strides Super has made in storytelling, it still suffers from this. Episode 111 had the tough task of following up the reveal of Ultra Instinct. It did an admirable job though, with an exciting battle between Hit and Jiren. Some forced story scenes did feel out of place and took away from the excitement of the fight, but were thankfully short and Friezas interesting opening more than made up for them.